Texas shot the video for the new single, “The Conversation” in Paris, Glasgow and London. 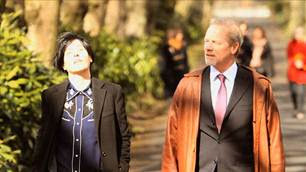 The video features internationally acclaimed actor and director Peter Mullan alongside Sharleen Spiteri. ‘The Conversation’ is the first single from the new album “The Conversation” which also features the Richard Hawley collaboration “Dry Your Eyes”.